Was Vermont's Lowell Mountain Wind Turbine Facility A Good Idea? The Green Mountain Power 63 MW Lowell Mountain wind turbine facility with (21) 3 MW Danish, Vestas V-112 wind turbines, 367.5-ft (112 m) rotor diameter, 275.6-ft (84 m) hub height, total height (275.6 + 367.5/2) = 459.3 ft, stretched along about 3.5 miles on 2,600 ft high ridge lines, has nothing to do with community-scale wind, everything with industrial, utility-scale wind. The housings, 13 ft x 13 ft x 47 ft (3.9 m x 3.9 m x 14 m), on top of the 280-ft towers, are much larger than a Greyhound bus. Gaz Metro of Quebec, Canada, owns GMP (and CVPS). It recently acquired Central Vermont Public Service Corporation. It now controls at least 70% of Vermont’s electrical energy market. Exclusion Zone: The blasting, clearing, road building, and foundation areas of the Lowell project directly impacts 159 acres of land. The Lowell project land area includes a total of about 2,700 acres that remain undisturbed and acts as a buffer zone. – infrasound and low frequency noise impacts on nearby people, especially pregnant women and children. – impacts on the ambiance, quality of life and property values of nearby residences. Lowell would need an exclusion zone of (3.5 m + 2.5 m), length x 2.5 m, width x 640 acres/sq m = 8,125 acres. After much litigation, GMP belatedly buying the Nelson’s 580 acres in April 2014 is just a drop in the bucket of what is required. * Because the annual wind energy percent on the NE grid is small, about 1%, the owners of existing generators do not yet “see” adverse impacts on their operations. As the percent increases, owners will “see” increasingly adverse impacts and will demand to be compensated, as happened on other grids with a greater percent, say 3-4 %, i.e., present owners are free-loading off other generator owners. Voltage Regulating Facility: Lowell wind energy varies with the cube of the wind speed; double the wind speed, eight times the energy. According to ISO-NE, because the variations of the wind energy voltage are too excessive for the NEK grid, a 27.5 MVAR voltage regulating facility needs to be installed by GMP. It will be located adjacent to the Jay Peak 46 kV Switching Station, housed in a 40’ x 68’ x 45’5” tall building, surrounded by 70’ x 90’ x 8’ tall fencing. The voltage regulating is performed by a Hyundai-supplied, 62-ton, synchronous-condenser system, operating at 3,600 rpm and at no load, 24/7/365 (high-speed idling, year-round), plus electrical systems to modify the variable wind energy by adding or subtracting reactive energy to satisfy below-criteria voltages on the 115 kV transmission system. It requires an 800-hp motor to get it up to speed and maintain it there. The system will cost about $10.5 million and be operational by the Spring of 2014. During all of 2013 and part of 2014, Lowell will be operated in curtailed mode, as required by ISO-NE. S-C systems have energy losses of about 3%, i.e., 97% efficient, plus the facility has its own levelized (Owning + O&M) costs, which will adversely affect the project economics. Energy loss of only the S-C system = 800 hp x .746 kW/hp x 8,760 hr/yr x 0.03 = 156,839 kWh/yr; that energy is subtracted from the energy fed to the grid. *Newly-developed systems are available from GE, Siemens, Vestas, that perform two functions: vary the pitch of the blades, based on wind velocity, as measured at the nacelle, to more-efficiently obtain energy from the wind, and, using partially-charged batteries that absorb and supply energy, to reduce voltages variations. The resulting processed outputs are collected from each IWT and fed, via a substation, into the grid. The likely net effect, claimed by Vendors, is an increased CF and less disturbance of the grid. Capital Cost: GMP calculated the Lowell capital cost at about $160 million, plus about $10.5 million for a synchronous-condenser system, per ISO-NE requirements, to minimize voltage variations and instabilities of the Northeast Kingdom grid, for a total of about $170.5 million. The above capital costs may not include transmission upgrades ($10,280,000) and substation upgrades ($3,160,000 or $17,420,000) of which Vermont Electric Cooperative paid 41% and GMP 59%. See page 14 of URL. Lowell sends wind energy, via the upgraded transmission and upgraded Jay substation, into the often, heavily-loaded 115,000 V line between Highgate and Newport, north of Lowell, causing it to be overloaded. Transmission upgrades ($10,280,000) and substation upgrades ($3,160,000 or $17,420,000); Vermont Electric Cooperative paid 41% and GMP 59%. As a result of upgrading the 115,000 V line between Irasburg and Johnson (capital cost not yet published), south of Lowell, some wind energy can also be sent via that line. This eases the burden on the Highgate-Newport line, and thus Lowell can more often operate at a greater output. On rare occasions, when the wind blows very hard, say about 30 MPH, the Lowell wind turbines may produce energy at a high MW (and make a lot of noise), but likely not at the rated value of 63 MW. On many occasions, mostly during summer and at dawn and dusk, the Lowell turbines produce minimal energy. Because of variable wind conditions in New England, even on ridge lines, about 30% of the hours of the year, wind energy is minimal. This means it cannot be relied on, and almost all other generators need to be staffed, fueled, and kept in good operating condition to deliver energy to the grid when wind energy is minimal. Production: GMP estimated the Lowell production at 63 MW x 8,760 hr/yr x CF 0.336 = 185,570 MWh; or 180,003 MWh, adjusted for 3% voltage regulation losses. It is unclear why this value is different from 2) below. Note: The $10.5 million synchronous-condenser plant is about 97% efficient, i.e., reduces the Lowell output by about 3%. 1) Production (standard rotor) = 63 MW x 8,760 hr/yr x CF 0.2842 = 156,844 MWh/yr; per GMP claim filed with PSB. 2) Production (large rotor) = 63 x 8,760 x 0.3587 = 197,959 MWh/yr; per GMP claim filed with PSB. More Likely Energy Production: Based on 5 years of Maine ridge line production results, the Lowell CF is likely to be about 0.25 or less. More likely production = 63 MW x 8,760 hr/yr x 0.25 x 0.97 = 133,831 MWh/yr, or 134/5,800 x 100% = 2.3% of Vermont’s annual consumption. Wind Turbine O & M Cost: Below URLs show recent estimates of US wind turbine O & M varying by region: about $26,000/MW in Texas and Southwest; about $30,000 – $32,000 in the Great Plains and Midwest; about $40,000/MW in Pennsylvania, New York, Maine, etc. Lowell = (63 MW x $40,000/yr)/(180 million kWh/yr) = 1.4 c/kWh, using GMP production estimates; 1.89 c/kWh, using a CF of 0.25. Note: During the first 6 months of operation, the Lowell CFs were: 0.202; 0.218; 0.167; 0.162, 0.223; 0.195, for an average of 0.193, mostly due to ISO-NE-mandated curtailments, i.e., GMP has fewer RECs to sell, and higher maintenance costs per/kWh. Other major O & M costs result from increased spinning, start/stop, balancing and grid operations due to wind energy being on the grid. Energy Cost: GMP calculated the levelized Lowell energy costs, based on a vendor-provided CF of 0.336 and a vendor-provided 25-year life, at 10 c/kWh, heavily-subsidized; it would 15 c/kWh, unsubsidized, per AEI/US-DOE. More Likely Energy Cost: A percentage of the 10 c/kWh, say 40%, is due to the site preperation (land acquisition, blasting, road building, foundations, site runoff, connection to the grid, etc.) and the rest, 60%, is due the IWTs (mast, nacelle, rotor, etc.). Only the part associated with the wind turbines is affected by a lesser CF and a shorter life. More likely energy cost = (0.60 x 10 c/kWh x CF ratio 0.336/0.25 x Life ratio 25/20 x S-C system 1/1.03) + (0.40 x 10 c/kWh) = 14.1 c/kWh, heavily-subsidized; it would be 21.2 c/kWh, unsubsidized, per AEI/US-DOE. – NE grid prices have averaged about 5-6 c/kWh (there are occasional spikes, as shown by below ISO-NE data), have been at that level for about 3 years, are likely to stay there for some decades, as a result of abundant, domestic, low-cost, low-CO2-emitting natural gas. – Hydro Quebec and Vermont Yankee pricing is about 5.5-6 c/kWh, inflation and or grid price adjusted; 24/7/365, steady, near-CO2-free energy. – GMP bought 60 MW of steady, near-CO2-free nuclear energy at 4.66 cents/kWh, inflation and or grid price adjusted. Smart move, now that Lowell has become a PR disaster and will likely be a financial fiasco as well. CO2 Emission Reduction: GMP claimed 25-yr CO2 emission reduction, shown below, is based on 0.5 metric ton CO2/MWh, NE grid intensity, CF = 0.336 and 25 yr life. Realistic 20-yr energy production, accounting for aging at 0.5%/yr, lesser CF of 0.25, shorter life of 20 years, 3% synchronous-condenser losses, is shown below. ** Pre-production CO2 emissions are for mining, processing, manufacturing the wind turbines, excluding shipping, site preperation, erecting, interconnecting to the grid. * Not adjusted for wind energy-induced grid inefficiencies, because New England annual wind energy is only 1%. At future greater annual wind energy percent on the NE grid, CO2 emission reduction effectiveness declines, as confirmed by a study of the Irish grid which shows at 17% annual wind energy, effectiveness is 0.526, which would reduce the net CO2 emission from 1,161,430 to 563,512 metric ton. Conclusion: The GMP CO2 emission reduction claim is at least 1.997 higher than the more likely reduction. In the future, with 17% annual wind energy on the NE grid, that claim will be even more extravagant, i.e., at least 4.116 higher than the more likely reduction. GMP’s Optimistic Assumptions: GMP used a vendor-predicted CF of 0.336, but that value is much greater than the average CF of 0.234 of six ridge line IWT facilities in Maine, based on FERC production data. For comparison: New York State, 19 facilities 2009, 0.189; 2010, 0.227; 2011, 0.236; 2012, 0.235. See below URLs. GMP used a vendor-predicted 25 year life, instead of a 20-year life. Failure to base approval decisions on realistic spreadsheet-based analyses is a malfeasance of a public trust, which has legal consequences. NOTE: GMP has two 3 MW wind turbines on land owned by the Gibbes family. GMP pays $20,000 per 3 MW turbine per year, for a total of $40,000/yr. The Gibbes also own Lyndonville Hardware and JB Coltons Lumber and Hardware in Orleans. NOTE: GMP pays The Town of Lowell $535,000/yr, with an automatic increase of $32,500 every five years. The agreement lasts for 25 years; five years from now GMP pays $567,500/yr; 10 years from now GMP pays $600,000/yr. NOTE: CFs were a closely guarded business secret, until it became known IWT owners have to report quarterly energy production to the Federal Energy Regulatory Commission, FERC. Based on the FERC data, the CFs on New England ridge lines are about 0.25 or less, instead of the 0.32 or better claimed, largely due to overestimating wind speeds and quality, aging of the IWTs and various outages and curtailments. See URLs. GMP Made Whole, Others Pay: Whereas Lowell Mountain may have significantly greater levelized energy costs than the above 10c/kWh, this would not affect GMP’s bottom line, as it would roll all its costs regarding Lowell Mountain mostly into its household rate schedules, subject to PSB approval, after pro forma hearings. Because the business records of this heavily-subsidized project are “proprietary”, it is likely, the lay public will never learn what the real costs were, and legislators do not dare investigate lest they be seen as less green. The VT-PSB, VT-DPS, etc., likely knew CFs on Vermont ridge lines would be less than the vendor-predicted values (the evidence was on the FERC website, and they are on my email distribution list), but rooted for and/or approved the above three projects anyway, after pro forma hearings. – CFs of 0.32 or greater, this claim should be discounted to at most 0.25, based on real-world ridge line results. – Useful service lives of 25 years, this claim should be discounted to at most 20 years, based on real-world useful service life results. The spreadsheet levelized energy cost analyses prepared by IWT project developers, currently based on their dubious claims, should be revised to better reflect the real world, rather than an “Alice in Wonderland” world. Failure to base approval decisions on realistic spreadsheet-based analyses is, as a minimum, a lack of due diligence, or, if facts were known to the VT-DPS, as is the case with the Lowell Mountain and Sheffield Mountain approvals, a malfeasance of a public trust; both have legal consequences. It would be better, if a project receives public subsidies, all operating data are required to be made public to ensure the public’s money is not wasted on non-viable projects, as often happens because of political insider dealing, i.e., trading legislative favors for “campaign contributions”, a.k.a. crony capitalism. On ridge lines the terrain upstream of the rotor usually creates nonuniform wind speeds and turbulence which can significantly reduce the production of a wind turbine, especially if it has a very large diameter rotor. Also, the wind speed at the tip of one blade may be considerably greater than at the tip of another creating additional stresses on the equipment. This is less the case on the flat plains of Kansas or offshore. The reality is the Lowell Mountain wind turbine facility would be a capital intensive, highly-visual, environmentally-destructive, noisy facility (100 dBA minimum, 106.5 dBA maximum; source Vestas manual) that is proposed to be built on environmentally-sensitive ridge lines. The wind turbines would be about 459 feet tall, equal to a 40-story building. Below is an article, which details the impact on newborns when wind turbines are placed too close to people and animals. The article is food for thought/introspection for Shumlin, Klein and other wind turbine aficionados. Wind turbines adversely impact the fetuses of pregnant women and other fauna species susceptible to low frequency vibrations from wind turbines, a.k.a. infrasound with frequencies less than 20 Hz. Infrasound cannot be heard, but is felt. Infrasound travels much longer distances than audible sounds that have higher frequencies. – Regulate and enforce minimal setback requirements of about 2 km from a residence. In Denmark last month, 1,600 animals were born prematurely at a mink farm. Many had deformities, and most were dead on arrival. The lack of eyeballs was the most common malformation. Veterinarians ruled out food and viruses as possible causes. The only thing different at the farm since last year has been the installation of four large wind turbines at a distance of 328 meters, or about 1,000 ft. The wind farm consists of four 3 MW turbines, VESTAS model V112, reaching out to 140 meters in height at the tip of the blades. When they became operational last fall, a first mishap was reported by the mink farmer at a parliamentary committee on wind farms in January this year. NOTE: The 3 MW turbines are exactly the same as at LOWELL MOUNTAIN!!! The Green Mountain Power, 63 MW Lowell Mountain wind turbine facility with (21) 3 MW Danish, Vestas V-112 wind turbines, 367.5-ft (112 m) rotor diameter, 275.6-ft (84 m) hub height, total height (275.6 + 367.5/2) = 459.3 ft, stretched along about 3.5 miles on 2,600 ft high ridge lines, has nothing to do with community-scale wind, everything with industrial, utility-scale wind. The housings, 13 ft x 13 ft x 47 ft (3.9 m x 3.9 m x 14 m), on top of the 280-ft towers, are much larger than a Greyhound bus. The below study describes the unique noises of industrial wind turbines and their impacts on people and animals. The below study of wind energy concludes the CO2 emission reductions due to wind energy are significantly less than claimed by promoters. IS WIND ENERGY NEEDED AT ALL? For the Lowell wind turbine facility, the balancing energy would be 63 MW x 1 GW/1,000 MW x 8,760 hr/yr x (1.0 – 0.32) = 375.3 GWh/yr. It would be produced by the balancing plants operating in part-load-ramping mode at an efficiency that is significantly less than if the same plants were operated at their best efficiency which occurs at rated output, in base-loaded mode. In fact, the wind energy PLUS balancing energy could be produced by just the balancing plants, if operated at rated output, in base-loaded mode. Only a small quantity of additional fuel/kWh would be needed AND only a small quantity of additional CO2 emissions/kWh would result, which begs the question: why is wind energy needed at all? The below articles explain in detail that adding wind energy to the grid requires at least 3 – 4 times the capital cost (wind turbines + balancing plants + reorganizing the grid), PLUS creating much greater adverse impacts on quality on life (noise, visual, psychological and health), property values and the environment compared with operating just the balancing plants, consisting of 60% efficient CCGTs, at rated output, in base-loaded mode. Rarely are any of these costs identified, quantified and charged to wind turbine owners as wind energy integration fees, i.e., they are getting a free ride. The above costs are not yet separately identified and quantified by grid operators, generator owners and utilities, because heretofore they have been relatively minor. But as wind energy percent increases, they would become increasingly greater expenses, as experienced by other grids with greater than about 3% annual wind energy. Grid operators typically add their extra costs to the invoices sent to utilities and generator owners that supply the grid. Utilities typically add their extra costs to their other costs to justify rate increases. How generator owners would be compensated for the adverse impact of wind energy on the economics of their generators remains an open question. Legislators, who wear the “RE” label to get votes, and utilities, dependent on rate increases from legislatures, are loathe to investigate, as it would be considered adverse to RE. They usually work together to make these costs “disappear”, i.e., socializing them, by rolling any RE costs mostly into household rate schedules. Denmark, an RE role model, has done it for decades and Danish households “enjoy” the highest electric rates in Europe (about 31.5 euro cent/kWh), Germany’s households “enjoy” the second highest rates (about 27 euro cent/kWh), France enjoys the lowest (about 12 euro cent/kWh). The lowest-cost wind energy balancing is with hydro plants. Higher cost wind energy balancing is with gas-fired, quick-ramping gas turbines. It is highly unlikely all of the above costs are included in the below wind energy integration fees. – Hydro-Quebec, using its hydro plants, charges wind turbine owners $5/MWh. – The Bonneville Power Authority, BPA, using its hydro and gas turbine plants, charges $5.7/MWh. – The Netherlands, using its gas turbine plants, charges 10 euro/MWh. The above costs are grossly under-representing the actual costs. For example: accounting for back-up (adequacy), balancing, grid connection and grid re-inforcement and extension, the additional costs would be $16.30/MWh and $19.84/MWh at 10% and 30% annual onshore wind energy, respectively; see page 8 of first URL. Quebec, Newfoundland and Labrador are interested to transmit their excess electrical energy via high voltage lines to population centers in southern New England which would require new, HVDC transmission corridors. Future wind turbines would likely be located in areas with the best winds, such as on some of the ridge lines of the north-south spine of Vermont, northern New Hampshire and western Maine; the latter two areas have greater average wind speeds than Vermont. If the wind turbines are connected to the new transmission corridors, the hydro plants of Hydro-Quebec could perform the wind energy balancing function for a fee, similar to the fee of BPA. – helping to make the economics of wind energy even better for wind turbine facility owners. – providing another wind energy subsidy as part of doing “constituent service”. Example of Opposition to Transmission Corridors: The Northern Pass HVDC Transmission Line, capacity about 1,200 MW, is planned to be built from Windsor, Quebec, to Deerfield, New Hampshire, about 180 miles. It would run partly in an existing right-of-way adjacent to an existing HVDC line in northern New Hampshire and would run for 16 miles via a new right-of-way through the White Mountain National Forest in New Hampshire. There would be about 1,000 highly-visible, steel structures, each 80 to 135 feet high, looming over the landscape. The estimated cost would be about $1.1 billion. Public opposition to this project has been fierce. Imagine what the opposition would be to $19 to $25 billion of new, highly, visible transmission lines to accommodate 20% wind energy penetration and the necessary balancing energy to the New England grid, as envisioned by the New England Wind Integration Study by GE Wind Division. Renewables aficionados, legislators, renewables vendors, project developers, financiers and others clamoring for wind energy appear to have no idea regarding the costs and the impacts on the quality of life (noise, visual, psychological and health), property values and the environment due to reorganizing the New England electric grid towards accommodating wind energy and balancing energy in a such major way. If HVDC lines can be run underwater the length of Lake Champlain and down the Hudson River to New York City, then they can also be run underground. They could follow the land the way highways do, such as Routes 95, 91 and 89, instead of through benign-sounding “corridors” created by cutting highly visible, environmentally damaging, 200-foot wide swaths through virgin forests. This will involve some blasting and digging, but it would be far less visible than such lines on thousands of highly-visible, steel structures that are 80 to 135 feet tall, arranged in straight lines in “corridors” over the landscape. Because Canadian power companies are in a hurry to bring power to southern New England and because opposition to aboveground HVDC lines would be fierce, the quickest, least-hassle way would be underground. Most of the extra capital outlays, mostly paid by rich Canadian companies, would be recovered by them through the earlier sales of electricity. This section contains some examples regarding how the Vermont political and business elites pursue their objectives when tens of millions of dollars of subsidies, tax shelters and lucrative power purchase agreements can be obtained, such as getting at least 40% of a project’s capital cost in cash subsidies, plus generous tax-avoiding writeoffs, plus selling at 30c/kWh to the grid (recently reduced to 24c/kWh, because 30c/kWh was too generous) under the Vermont SPEED program; grid prices average about 5c/kWh. By appointing their minions to leadership positions in government almost anything can be railroaded through. State legislatures and state government agencies are pressured to pave the regulatory ways to essentially circumvent state environmental and quality of life laws, even in violation of UN protocols and principles. Pro-forma hearings, usually required by law, are held to create a semblance of democratic process but effectively are rubber-stamp approvals of preordained decisions. The Lowell Mountain wind turbine facility received a Certificate of “Public Good” from the Vermont Public Service Board, VT-PSB, a mostly political entity, despite widespread public opposition regarding adverse impacts on quality on life (noise, visual, psychological and health), property values and the environment. The Lowell Mountain wind turbine facility received a permit to start construction from the VT-PSB without first having conservation easements in place to protect wildlife habitat. This means construction crews will have no detailed guidelines regarding preventing/minimizing damage to the environment and likely will have little oversight by the state during construction. The reason for the rush? Federal grants, etc., were in jeopardy, because of qualifying deadlines. GMP will donate more than $500,000/yr to the Town of Lowell; hush money for “hosting” the Lowell Mountain wind turbine facility. Whereas the surrounding towns would also have adverse impacts on quality of life (noise, visual, psychological and health), property values and the environment, they will get practically nothing. State representatives from surrounding towns, opposed to the Lowell Mountain wind turbine facility, urged members of the Vermont Electric Cooperative, VEC, to vote against increasing the transmission line capacity that would primarily serve the wind turbine facility. GMP Response: it will not adversely affect the economics of the project and the project will proceed anyway. GMP must feel confident of high-level political support to respond with such strong words. The new transmission line would be another freebie for wind turbine facility owners partially paid for by VEC rate paying members, who would also get to pay higher rates because of the expensive wind energy being rolled into the VEC cost basis and who would also have to put up with the adverse impacts on quality on life (noise, visual, psychological and health), property values and the environment. Note: Because of adverse impacts on quality on life (noise, visual, psychological and health), property values and the environment, the governments of Denmark and the North Holland Province of the Netherlands, after years of increasing public protests against wind turbine facilities, have finally stopped construction of onshore wind turbines. VEC and other utilities must comply with the state’s SPEED requirements which means 20 percent of their energy sales must be sourced from renewables by 2017. VEC has agreed to buy wind energy from GMP’s Lowell wind turbine facility at a wholesale rate of $0.096/kWh for 25 years. Wholesale rates for other renewables: biomass and small hydro, $0.12 to $0.14 per kWh; PV solar, $0.27/kWh. These rates do not include other costs, such as for upgrading transmission lines. Without subsidies, these rates would be at least 30 – 50 percent higher. These rates compare with an average New England grid rate of about $0.055/kWh. RE promoters and politicians often tout job creation by RE projects, but do not mention the jobs lost in others sectors of the economy. Economists have used standard input-output analysis programs for at least 40 years to the determine the plusses and minuses of various economic activities. Numerous studies, using such economic analysis programs, performed in Spain, Italy, Denmark, England, etc., show for every job created in the RE sector, about 2 to 5 times jobs are destroyed in the other sectors. Total job gain from RE subsidies = 3 in RE sectors + 1 in government = 4. Such job “creation” is unsustainable. Whether these government jobs are good or bad, needed or not needed, is irrelevant. Note: This is not the case with increased energy efficiency subsidies. They create jobs in the EE sector, but also create a net increase of jobs in the other sectors, because the reduction of energy costs enables more spending on other goods and services. Example of job shifting due to RE subsidies in Vermont: In late 2009, the Vermont legislature created the SPEED program to offer premium prices to project developers of RE; without premium prices their projects would not be viable. Under the Vermont SPEED program it would take about $228.4 million of scarce funds to build 50 MW of expensive renewables capacity that would produce just a little of variable, intermittent and expensive energy that would make Vermont’s economy less efficient at exactly the time it needs to become more efficient. According to the VT-DPS, the SPEED program has fallen far short of its goal of building 50 MW of RE projects for about $228.4 million. After 3 years, just 7.1 MW of RE projects costing about $32 million has been built, and is producing just a tiny quantity of energy, and has created only about 3-5 net jobs. The VT-DPS evaluated the program in 2009 and issued a white paper which stated about 35% of the $228.4 million would be supplied by Vermont sources, the rest, mostly equipment by non-Vermont sources, such as wind turbines from Denmark and Spain, PV panels from China, inverters from Germany; i.e., creating jobs abroad with Vermonter’s money! There would be spike of job creation during the 1-3 year construction stage (good for vendors) which would flatten to a permanent net gain of 13 full-time jobs (jobs are lost in other sectors) during the O&M stage. Note: Legislators and the VT-DPS were irrationally-exuberant thinking the entire 50 MW would be built in 1-3 years; bureaucrats should not be doing the planning that would be more expertly done by the private sector. It gets worse. Under the SPEED program, these projects sell their energy to the grid at 3-5 times NE annual average grid prices for 20 years; the high-priced energy is “rolled” into a utility’s energy mix, resulting in higher electric rates for households and businesses, higher prices of goods and services, fewer jobs, lower living standards, less tax collections. Most of the larger SPEED projects, up to 2.2 MW, are owned by the top 1% of households that work with lobbyists, politicians and financial advisers to obtain generous subsidies for their tax-sheltered LLC projects that produce expensive energy at high cost/kWh and avoid CO2 at high cost/lb of CO2; inefficient crony-capitalism under the guise of saving the world from global warming and climate change. No wonder Vermont’s households and businesses are rebelling. The Lowell Mountain wind turbine facility job creation is largely a mirage; the wind turbines are supplied by Denmark. The facility would temporarily employ a number of people during the construction phase for about a year. During the next 20 years, just a few people would be permanently employed to perform operations and maintenance. Proponents of renewables often crow about job creation. However, creating too many jobs for the O&M of various renewable systems will make the electric power sector of the economy less efficient and its product (electrical energy) more expensive which will increase the costs of other goods and services placing the US in an even more precarious situation regarding international trade. Example: IBM has made veiled threats regarding continuing its operations in Vermont if electrical energy costs become excessive. The federal government and state legislatures are pressured to provide increasingly greater subsidies to politically well-connected renewables vendors (GE, Vestas, Iberdrola, Siemens, etc. ), project developers, financial entities and their high-income clients who “need” tax shelters (Goldman Sachs, etc.) and trade organizations (AWEA, etc.). Over the past 10 years, the subsidies for wind turbine facility owners have become so excessive that facilities are built in marginal wind areas, as on most Vermont ridge lines, or before facilities are built to transmit the wind energy to population centers, as in the Texas Panhandle, just to cash in on the lucrative subsidies. The Lowell Mountain wind turbine facility would not be built, if there were no subsidies equivalent to at least 50% of the capital cost. Without subsidies, the wind energy produced would be at least $0.15/kWh delivered to the grid, significantly higher than New England average grid prices of about $0.055/kWh. The Lowell Mountain wind turbine facility has everything to do with grabbing as much federal and state subsidies as possible. 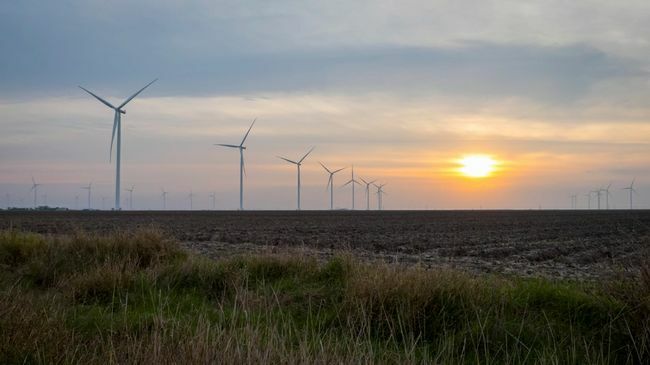 Most of the project benefits would be “coursing” to Vestas and Denmark’s economy, next to benefit would be the well-connected few, including high-income, non-Vermonters looking for tax shelters, and next to benefit would be a few construction and O&M people. All this at the disadvantage of many people due to the adverse impacts on quality on life (noise, visual, psychological and health), property values and the environment, AND higher electric rates of already-stressed households and businesses, AND less tourist business. – Federal grant for 30% of the total project cost which also applies to Spanish, Danish, German and Chinese wind turbines thus creating jobs in those nations instead of the US. These nations would not dream to have such a measure benefitting US wind turbine companies. – Federal accelerated depreciation allowing the entire project to be written off in five years which is particularly beneficial to wealthy, high-income people looking for additional tax shelters. – Federal production credit of $0.023/kWh of wind energy produced. – Owners of wind turbine facilities receive Renewable Energy Certificates which they can sell on the open market. The RECs are subsequently bought by polluting companies that find it less expensive to buy the RECs than clean up their pollution. — Above market Feed-in-Tariffs and generous power purchase agreements, PPAs. I – Combined Cycle Gas Turbines: For the same capital cost as Lowell, a new 60% efficient combined cycle gas turbine facility, operated at rated output, in base-loaded mode, would produce about ($170.5 million/$1.25 million/MW) x 1 GW/1000 MW x 8,760 hr/yr x CF 0.90 = 1075.4 GWh/yr, or about 1075.4/5,800 x 100% = 18.5% of Vermont’s annual consumption, or 18.5/2.3 = 8.0 times the electrical energy per invested dollar. The facility would have a 35 – 40 year useful service life, instead of the 17.5 years for wind turbines. The levelized energy cost for advanced 60% efficient CCGT would be about $0.0631/kWh, according to the US Energy Information Administration. II – Increased Energy Efficiency: A much more economically-viable and environmentally-beneficial measure to reduce CO2 would be increased energy efficiency. A 60% reduction in Btu/$ of GDP is entirely possible with existing technologies. Such a reduction would merely place the US on par with most European nations. It would be much wiser, and more economical, to shift subsidies away from expensive renewables, that produce just a little of expensive, variable, intermittent energy, towards increased EE. Those renewables would not be needed, if we use those funds for increased EE. EE is the low-hanging fruit, has not scratched the surface, is by far the best approach, because it provides the quickest and biggest “bang for the buck”, AND it is invisible, AND it does not make noise, AND it does not destroy pristine ridge lines/upset mountain water runoffs, AND it would reduce CO2, NOx, SOx and particulates more effectively than renewables, AND it would not require any distribution network buildouts, AND it would slow electric rate increases, AND it would slow fuel cost increases, AND it would slow depletion of fuel resources, AND it would create 3 times the jobs and reduce 3-5 times the Btus and CO2 per invested dollar than renewables, AND all the technologies are fully developed, AND it would end the subsidizing of renewables tax-shelters at the expense of rate payers, AND it would be more democratic/equitable, AND it would do all this without public resistance and controversy. The real issue regarding CO2 reduction is energy intensity, Btu/$ of GDP; it must be DECLINING to offset GDP and population growth. To accomplish this energy efficiency needs to be at the top of the list, followed by the most efficient renewables of which hydro power is the best and residential small wind is the worst, in fact, it is atrocious. EE is so good that it should be subsidized before any and all renewables, because it is much more effective per invested dollar. Effective CO2 emission reduction policy requires that all households eagerly participate. Current subsidies for electric vehicles, residential wind, PV solar and geothermal systems benefit mostly the top 5% of households that pay enough taxes to take advantage of the renewables tax credits, while all other households are required to pay for them by means of fees and taxes or higher electric rates; the net effect is much cynicism and little CO2 reduction. Improved energy efficiency policy will provide much greater opportunities to many more households to significantly reduce their CO2 emissions. Energy efficiency will have a much bigger role in the near future, as energy system analysts come to realize that tens of trillions of dollars will be required to reduce CO2 from all sources and that energy efficiency will reduce CO2 at a lesser cost and more effectively. Every household, every business can participate. For example: There is a massive energy source right at our fingertips — but, so far, this resource remains largely untapped. This energy resource is available in every state, every city and every town, does not require mining and drilling and costly power plants, makes no noise, is invisible, does not harm the environment and fauna and flora and creates more jobs than renewables per invested dollar. The majority of our existing building stock is old and most are inefficient buildings that are destined to be in service at least 25 years or longer. Reducing the energy that is normally wasted in existing buildings offers more potential for cost-effective energy savings and CO2 emission reductions than any renewables strategy. – will make the US more competitive, increase exports and reduce the trade balance. – usually have simple payback periods of 6 months to 5 years. – reduce the need for expensive and highly visible transmission and distribution systems. – reduce two to five times the energy consumption and greenhouse gas emissions and create two to three times more jobs than renewables per dollar invested; no studies, research, demonstration and pilot plants will be required. – have minimal or no pollution, are invisible and quiet, are peaceful; no opposition groups demonstrating against them, something people really like. – are by far the cleanest energy development anyone can engage in; they often are quick, cheap and easy. – have a capacity factor = 1.0 and are available 24/7/365. – use materials, such as for taping, sealing, caulking, insulation, windows, doors, refrigerators, water heaters, furnaces, fans, air conditioners, etc., that are almost entirely made in the US. They represent about 30% of a project cost, the rest is mostly labor. About 70% of the materials cost of expensive renewables, such as PV solar, is imported (panels from China, inverters from Germany), the rest of the materials cost is miscellaneous electrical items and brackets. – will quickly reduce CO2 at the lowest cost per dollar invested AND make the economy more efficient in many areas which will raise living standards, or prevent them from falling further. – if done before renewables, will reduce the future capacities and capital costs of renewables. – high-efficiency diesel engines in passenger cars getting 50 to 60 mpg are widely used in Europe. This should be implemented in the US before plug-in electric vehicles; a fully mature technology, no-fingers-crossed situation and no subsidies. – next hybrid/diesel-powered vehicles that get about 60+ mpg; again a fully mature technology, no-fingers-crossed situation and no subsidies. – next plug-in-hybrid/diesel-powered vehicles that have a 40-mile electric range; again a fully mature technology, no-fingers-crossed situation and no subsidies. The benefits are less diesel fuel consumption, but for at least the next 10-20 years more coal-generated power consumption to charge the hybrids, until renewables and natural gas become a greater percentage of US power. – improving worldwide mpg of future gasoline-powered vehicles. This is an ongoing effort that should be accelerated with subsidies. Cars with high mpgs usually are small and low-cost. If tens of millions/yr are sold worldwide, it will have a major impact on reducing CO2. As always, many words, numbers and conclusions based on extremely dubious references. The author himself, with most of the referenced article being pasted into this one. Please follow link for debunking in comments. A small community anti-wind advocacy group that appears to have been inactive since 2011. They reference Dr. Michael Nissenbaum (radiologist, not a trained clinical or medical researcher) and his repetition of the methodological flaws of Dr. Pierpont at a site in Maine. Dr. Nissenbaum is also on the Board of Directors of Wind Vigilance, an anti-wind advocacy group. An anti-wind advocacy group that makes no bones about the fact that they think wind turbines are ugly and shouldn’t be where people can see them. And himself several more times. There are good references to reputable sources in this article, but they are both outweighed by references to anti-wind and pro-fossil-fuel advocacy groups. It is unsurprising that writing in this echo chamber, the author of this post comes to the conclusions that he does. Wind energy is at grid parity in many places and will be in the majority of sites by 2016. Costs have dropped by 14% with every doubling of capacity for the past 30 years. Wind energy produces lower levels of infrasound than surf on a beach. 17 major health studies have found no connection between wind turbines and adverse health effects. They all found that a small number of people very near wind turbines find the noise annoying, something easily dealt with by moderate setbacks and simple noise mitigations such as closing windows or white-noise generators. There are 165,000 wind turbines generating clean, safe, CO2-free electricity world-wide and they are on track to exceed the generating capacity of the world-wide nuclear fleet by 2016. They are offsetting carbon from fossil fuel generation at a tremendous rate. They are an amazing good news story. Disliking them on your local ridgelines, as the author appears to, is no reason to promote inaccurate information. Given that Mr. Post has read the articles I have on another site, suggesting that I’m not providing content is just silly, as is the argument that popularity in hundreds or low thousands of page views on this site equates to accuracy. To be clear, I have high-quality content with strong references — unlike Mr. Post’s — that I maintain on Quora.com. On this particular site, as with many others, I debunk the efforts of anti-wind propogandists such as Mr. Post. And readers will notice that after a massive analysis of the terrible references Mr. Post uses in his work, in his response he provides exactly the same ones. Mr. Post is free to eliminate the highly-biased, unpeer-reviewed references he favours from his posts. But that would eliminate roughly 95% of all references he uses. Instead, he clings to his weak sources obstinately. His articles are built on quicksand. All of his logic and effort is like theology, starting from false assumptions and proceeding to the number of angels that can dance on the head of a pin. SPP continues to add more Wind to its grid which is displacing coal generation. Using LiDAR, drones navigate autonomously and collect measurable data on wind turbine defects. This technology provides quality data cost effectively while avoiding hazardous man-hours.